I know we've all probably been there at some point in our lives, but loss and grievance are always emotionally sad and distressing times. Sometimes confusing, with feelings ranging from deep heart felt love and sadness to guilt, anger and despair. Inspirational sympathy poems offer those much needed words of consolation. A divine source of comfort and hope. True, we all grieve in our own different way, but I'm sure you, just like me, would welcome an occasional shoulder to cry on and comfort through painful times. Poetry can be that shoulder. A bright shining light of hope and encouragement. A warm sympathetic guiding hand that will help you through the darkness. If you're alone and have nobody to turn too during times of loss, poetry will be your comforting spiritual friend. Of birds amid the brake. Lost on the brow of day. Amid the blue of June. Can you think of a better way of interpreting bereavement in the way the great poets have interpreted it in the past? The bewilderment, sadness and sorrow. The question of whether there really is a god or goodness in this world. The silence when we sometimes need help and the overwhelming emotion and despair our confused minds can bring. Read by Ruth Golding. Music: 'O vos omnes'by Gesualdo da Venosa. Performed by Vox Àltera Ensemble. Poetry may not solve the mystery of death but poems can break the silence. 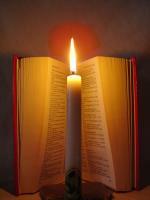 Inspirational sympathy poems can put hope and faith into the mourners heart. They can show you the way. Offer light after darkness. They can guide you through the night. During the difficult times following the loss of a close loved one there are often many practical issues that have to be dealt with. Having to deal with these things while grieving can really make life seem quite intolerable when trying to come to terms with our loss. This is when poetry and sympathetic words can help. Comforting poems can help you realize that, although you may be separated by death, your love for the person you have lost will last forever, just as strong as it has always been. Let these poems give you the strength to realize that life goes on and your love will never die. It can only grow stronger. Take comfort from this ever growing collection of inspirational sympathy poems. Let them help and guide you through sad and stressful times. 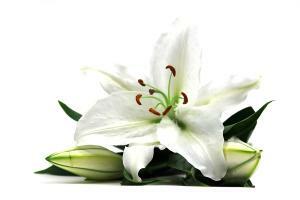 Should you, or someone you know, be mourning the loss of a loved one then let these inspirational sympathy poems show you that your love, and the love of the person you have lost, will last forever and your spirits will always shine brighter and brighter.